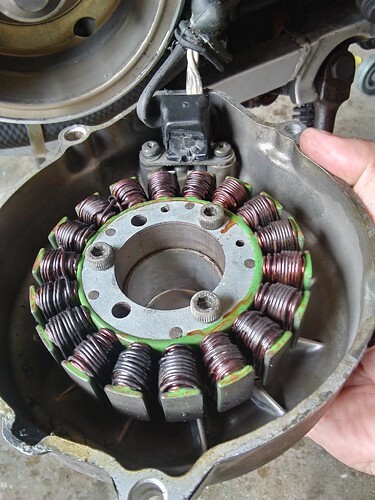 Recently my bike started to have difficulty with firing up. 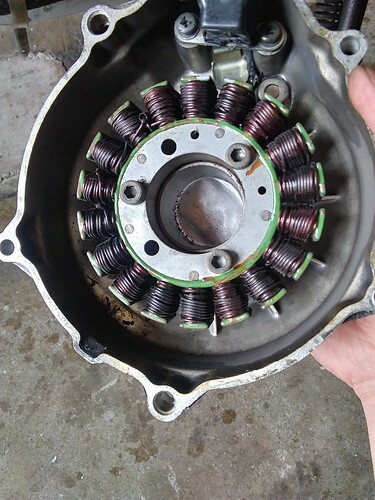 After looking into carb and R/R, I opened up stator cover and saw this. 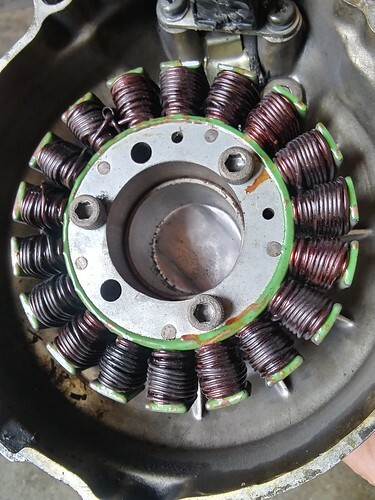 I haven't tested the stator yet and don't know how to do it so about to study the procedure but judging from the color shown in these pics, would this stator needs to be replaced anyway?